For the quantitative measurement of EBOV soluble glycoprotein in mouse and non-human primate sera. Human GMFB Kit from Proteintech is Sandwich ELISA Kit to detect Human GMFB in serum; Plasma; Cell culture supernatant. 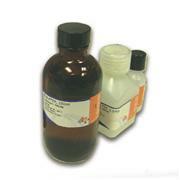 The sensitivity is 24 pg/mL and detection range is 125-8000pg/mL. 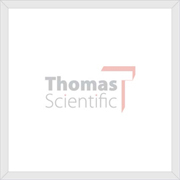 Human TGF-beta1 ELISA Kit from Proteintech is Sandwich ELISA Kit to detect Human TGF-beta1 in Serum, Plasma, Cell culture supernatant. The sensitivity is 3.3 pg/mL and detection range is 15.6 pg/mL - 1000 pg/mL. Human GM-CSF ELISA Kit from Proteintech is Sandwich ELISA Kit to detect Human GM-CSF in Serum, Plasma, Cell culture supernatant. The sensitivity is 1 pg/mL and detection range is 7.8 pg/mL-250 pg/mL. Human CRP ELISA Kit from Proteintech is Sandwich ELISA Kit to detect Human CRP in Serum, Plasma, Cell culture supernatant. The sensitivity is 0.016 ng/mL and detection range is 0.156 ng/mL - 10 ng/mL. 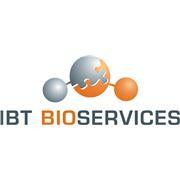 Human TDP-43 Kit from Proteintech is Sandwich ELISA Kit to detect Human TDP-43 in serum; Plasma. The sensitivity is 40 pg/mL and detection range is 62.5-2000pg/mL. Human IL8 ELISA Kit from Proteintech is Sandwich ELISA Kit to detect Human IL8 in serum,plasma, cell culture supernatant. The sensitivity is 12.1pg/ml and detection range is 15.6pg/mL-1000pg/mL. Human IL10 ELISA Kit from Proteintech is Sandwich ELISA Kit to detect Human IL10 in serum,plasma, cell culture supernatant. The sensitivity is 5.3 pg/mL and detection range is 62.5pg/mL-4000pg/mL. Human IL17A ELISA Kit from Proteintech is Sandwich ELISA Kit to detect Human IL17A in Serum, Plasma. The sensitivity is 48 pg/mL and detection range is 62.5 pg/mL-4000 pg/mL.